Given below is the list of top Medical Colleges in Nashik 2019 for MBBS. If so, your search ends here. Known as an educational hub of North Maharashtra the city is home to a few, but good colleges for the study of medicine. Apart these medical colleges the city is also home to Maharashtra University of Health Sciences which affiliates more than 30 medical colleges in and around Maharashtra and also offers study programs (undergraduate, post graduate, Ph.D.) in all streams of health sciences. 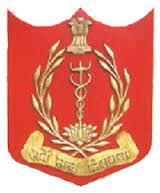 Following is the list of Top Medical Colleges in Nashik for MBBS.